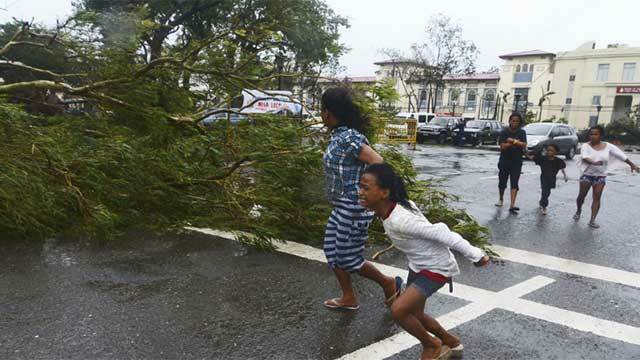 With reports of more than 10,000 estimated casualties, and an excess of 9 million people affected,Typhoon Haiyan is one of the most devastating storms ever to make landfall. With the Red Cross and other agencies saying they expect the number of casualties and total damage from the storm to soar, there are many organizations stepping up to provide relief to the victims and families of Haiyan. American Red Cross: Sent support specialists to help the hardest hit areas. Direct Relief International: Direct Relief is collaborating with its partner on the ground, Asia America Initiative (AAI), to coordinate the delivery of needed medical aid, which is expected to arrive in the Philippines capital, Manila, early next week. The donation contains antibiotics, pain relievers, nutritional supplements, anti-fungal medications, wound dressings, and chronic disease medicines. Mercy Corps: Mercy Corps is launching immediate relief efforts after one of the strongest storms in recorded history devastates the Philippines. Oxfam: Oxfam rapid assessment teams are poised to provide emergency supplies and shelter in parts of the Philippines hit by Typhoon Haiyan. ShelterBox: Donations designated toward ShelterBox’s Typhoon Haiyan relief efforts will be used to supply the most vital equipment needed and will not be assigned box tracking numbers. Each ShelterBox supplies an extended family with a tent and essential equipment to use while they are displaced or homeless. UNICEF: UNICEF is working to provide safe water, hygiene supplies, food, shelter and a safe environment to recover. World Food Programme: WFP is mobilizing quickly to reach those in need. Please make a donation now to provide emergency food assistance to families and children.